Have you ever divided a tube pan sized pound cake recipe between two loaf pans only two have the two loaf cakes come out with flat tops? 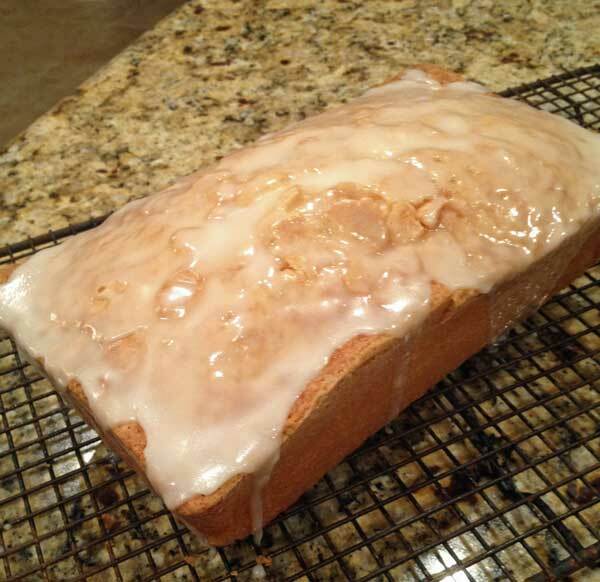 Example: Elvis Presley’s Favorite Pound Cake. Here’s what it looked like when I halved the recipe and used a loaf pan. The texture was fine and it tasted great, but it wasn’t a very pretty cake. Too see what caused the flat top, I turned to BakeWise: The Hows and Whys of Successful Baking with Over 200 Magnificent Recipes by Shirley Corriher. In a section called “A Sad Cake is a Happy Cake”, Shirley recalls how she attempted to make a pound cake recipe given to her by three different people. She called it “The Great American Pound Cake” and noted that all versions had the ratios of 1 1/2 to 1 3/4 cups fat, 3 cups sugar, 3 cups flour, 1 cup of liquid and 5 or 6 eggs. She went on to state that these ratios go against normal, successful cake ratios, but tested them anyway. What Shirley found was that when she divided this “Great American” ratio cake in two loaf pans, it tasted great, but fell flat. When she baked it in a 12 cup Bundt or 10 inch tube, it had a perfect appearance and texture. That, of course, was because tubes and Bundts are inverted and the top becomes the bottom. 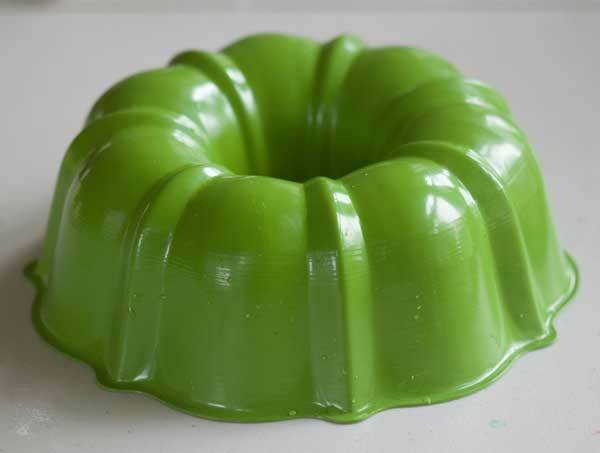 She concluded that those “Great American” pound cake ratios have an excess of fat and sugar and not enough protein structure to hold up a lovely domed loaf cake, and that if you want to make one of those really rich, dense “Great American” ratio cakes, you should use a tube or Bundt. It’s good advice, but I still want my loaf pan pound cakes to look good, so I compiled a list of loaf shaped pound cakes with a nice appearance. 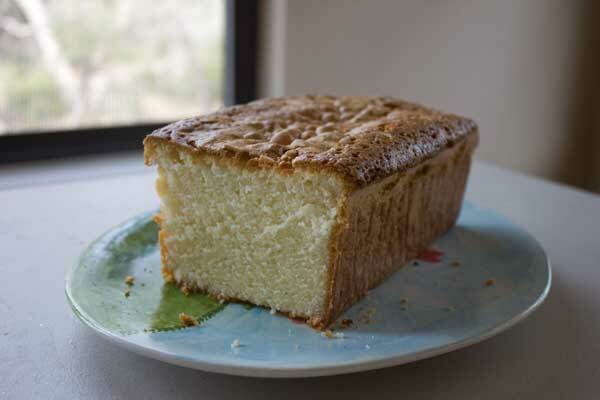 The first one that came to mind was this Perfect Cream Cheese Pound Cake which has ratios similar to the “Great American” ratios, but calls for a brick of cream cheese instead of liquid. Another is Southern Living’s Smoothest Southern Pound Cake (here’s my halved lemon version), which leaves out some of the fat in the “Great American” ratio (but still has plenty), and calls for whipped egg whites to do the job of supporting the cake’s structure. It didn’t look too bad when I halved it and baked it in a loaf pan, but it looked a lot better when I baked it as a Bundt. 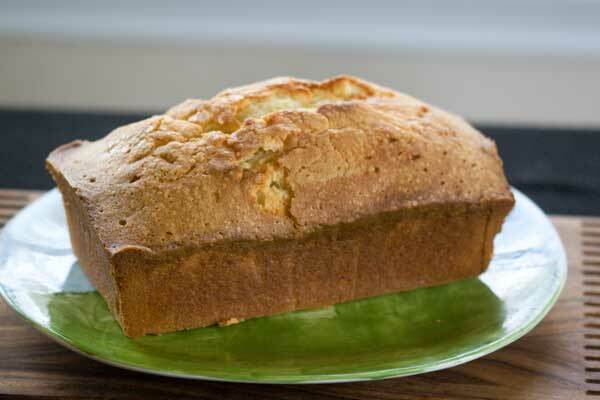 Mary Jo Bowen’s or “Best Pound Cake Ever” is also very good (and very similar to Southern Living’s). This one is not a loaf shape. I baked it in a 6 inch Bundt pan. And then there are the recipes that seemed to be designed especially for loaf pans. They’re usually not as dense and moist as the “Great American”, but a cake doesn’t have to be extremely dense and moist to be good. 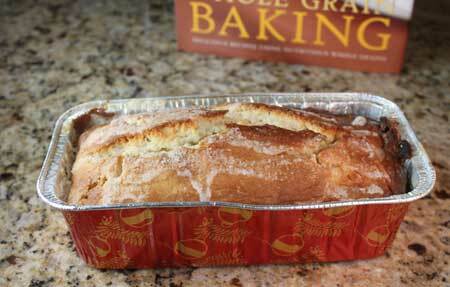 King Arthur’s Vanilla Pound Cake is delicious and has a wonderful crusty top and soft center. It calls for a combination of bread flour and cake or pastry flour. 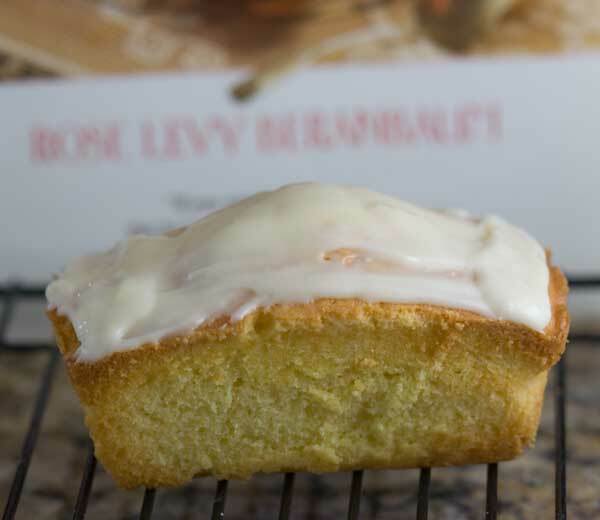 My current favorite is Rose Levy Beranbaum’s Perfect Pound Cake which she designed for an 8×4 inch loaf pan. 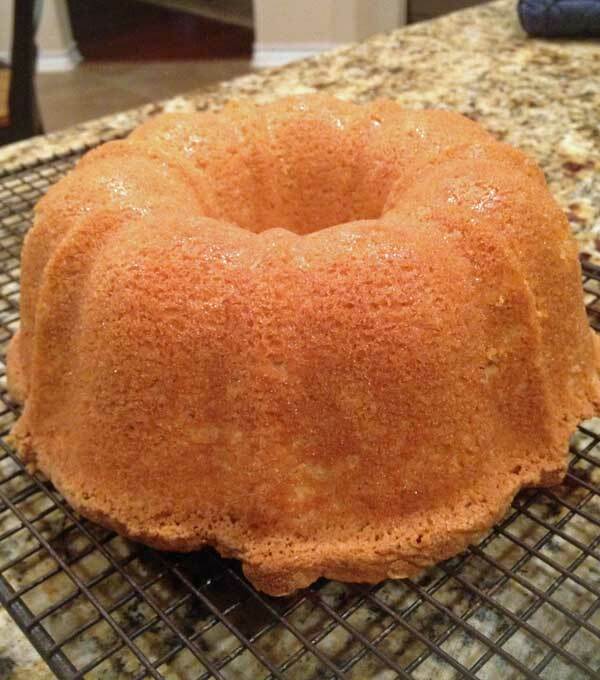 It’s definitely less sweet, and I’d say it’s less moist than other pound cakes, but it improves as it sits and if you add a glaze and/or icing and keep it covered for a day, it’s delicious and has a very fine, tight, crumb. Plus there’s the whole benefit of using the Two Stage method which seems so much more convenient than creaming. Another cake designed for a loaf pan is Cook’s Illustrated Classic Pound Cake from 2007 from the January 2007 issue of Cook’s illustrated. The article that accompanied it was very informative, but the cake had a lot of egg flavor. Even though I didn’t particularly care for the egg flavor, the article answered a lot of my questions on pound cake making technique, such as why the ingredients have to be room temperature, why eggs should be added very slowly, and why cake flour is usually a better choice. Which brings me to the things I’ve learned. Some of you already know these, but I’m mentioning them again for people who know how to bake, but get frustrated with pound cakes for whatever reason. 1. Always bring your ingredients to room temperature. Using cold eggs means you have to beat them more to incorporate them and that process can break down the fine air bubbles you created while creaming the butter. There’s also the issue of cool butter “re-solidifying” and breaking apart of liquids are very cold, and this can lead to an uneven texture. 2. Add eggs to the batter slowly and in small parts. The reason for this has to do with the protein in the eggs. If you add eggs rapidly, they form a thick film over the other ingredients and the thick film causes creates more resistance to rising. Adding the eggs slowly coats the ingredients with a thin film. An example in the January 2007 issue of Cook’s Illustrated was that a thin balloon being easier to inflate than a thick balloon. You have to puff harder to get that thick balloon to puff up, so I suppose ingredients coated with a thick film of egg have to “puff harder” to rise as they bake. 3. Take the time to weigh everything, especially the flour. And if a recipe calls for sifted cake flour, definitely sift it before measuring. A cup of sifted cake flour only weighs about 3.5 oz, so if you try to substitute something crazy unsifted all-purpose, you’ll be using 4.5 to 5 oz per cup. 4. Don’t use the old cake flour substitute of AP flour plus cornstarch thinking you’ll get the same results. Cake flour is lower in protein than unbleached or all-purpose and has a different acidity. The only thing you can sub for cake flour with good results is all-purpose White Lily because it has less protein and is made with a soft wheat. 5. On the flip side, using cake flour in one made with all-purpose will give you different results than what the original recipe intended. Maybe that particular recipe needed the structure from all purpose’s extra gluten? I tend to prefer cake’s made with cake flour, but I have run across a few that work better with all-purpose. 6. Cold oven or low temperature pound cakes usually have a thicker crust. 7. This is an opinion, but I think that cakes made with a mixture of butter and shortening rather than just butter have a better texture.I sometimes swap out about a third of the butter for some shortening to get a better cake. 8. Pound cake gets better and better with age. Well, up to a point, I guess. But it definitely tastes better on Day 2 and even Day 3. 9. I think the texture improves a little bit if you freeze pound cake and then let it thaw. 10. For a finer crumb, measure your sugar as the recipe states, but grind it up in an old coffee grinder or food processor. This post is such a great example that there is always something new to learn. Thnx Anna! I can’t wait go through my saved recipes and make notations! This is some quality information – thank you so much. You should publish a book!! I would buy it. Cindy, that’s a neat idea! Stephanie, I hope to see one on your site very soon. Great tips! I am bookmarking this post for the next time I make a pound cake. Yes, this is a very interesting post. I don’t have a recipe, but how about a double layer cookie for fall? Oatmeal and apple? Thank you, Sue. You are so nice. Sorry it’s so long! I’ve been referring to it as my pound cake manifesto. I really need to break this cycle of being obsessed with pound cake, so if you have any good cookies recipes, let me know. You wrote an excellent article on the subject of pound cake! Thank you!